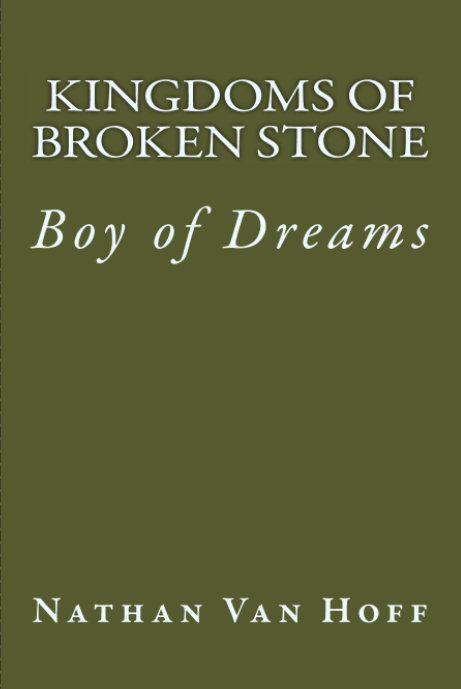 Boy of Dreams, the first book in the Kingdoms of Broken Stone series, is out now! Kingdoms of Broken Stone: Boy of Dreams tells the story of an impatient wizard and her new apprentice that must keep their country from being torn apart while they search for the rightful heir to the throne. 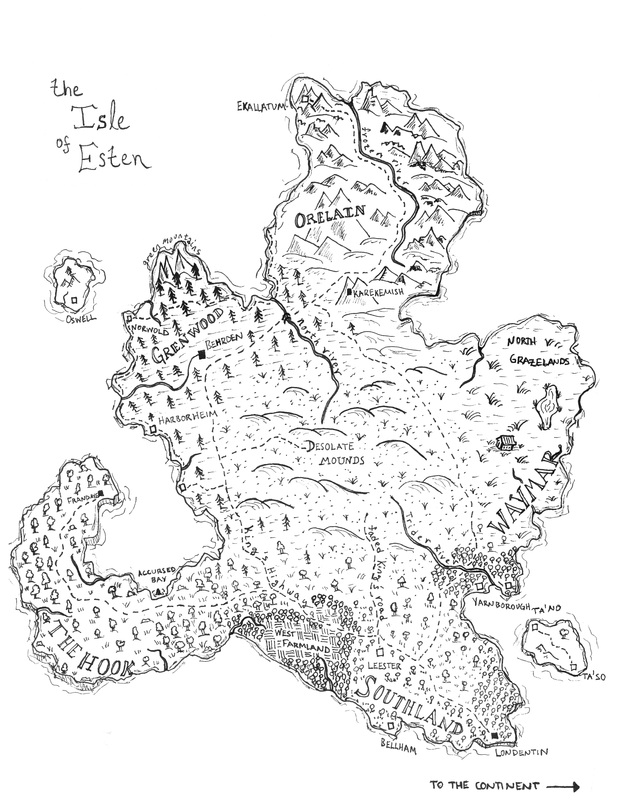 The story is set primarily on the Isle of Esten. In terms of placement within the world, Esten is loosely based on the British Isles. However, its people groups, history, and interior geography are notably different. The greater world around it is influenced by common themes throughout fantasy stories, popular legends and myths, as well as non-fiction ancient and medieval history. The major characters differ in age and racial backgrounds while their shared experience develops over the course of time. Though the conflict and enemies they face are the product of imagination, the emotions and decisions are ones that everyone wrestles with in various ways. Good and Evil are pitted against one another to form a classical foundation to a fresh story with new faces. Those who enjoy The Adventures of Robin Hood, Chronicles of Narnia, Lord of the Rings, Tales of King Arthur, and other like stories are sure to recognize similar themes while experiencing a new world through unique characters. I haven’t posted in awhile because most of my writing time has been occupied with working on a fantasy novel. The novel is not Christian, but it does have Biblical themes throughout and is influenced by my faith. I’ll post updates in regards to the progress from time-to-time. At the moment the manuscript is at about 90,000 words and probably 3/4 complete. Just wanted to let people know I haven’t quit writing, just been working on a longer project. The story of Joseph’s life is found in Genesis 37 and 39-50. Throughout Joseph’s life, he suffered unjustly. He was a human and so he was imperfect, but he did not do anything to deserve to be sold as a slave by his own brothers or to later be thrown into jail. In fact, if he had sinned with Potiphar’s wife, he may not have been thrown in jail at all. As people we have many beautiful differences, some of which are race, role, and gender. These differences have been ordained by God for His glory and for our good. Together, they form a more complete and intricate reflection of God and are a witness of His love and beauty to the world. Though there are ways in which we are different, in the body of Christ we are one (1 Corinthians 12:27, Romans 12:5, Galatians 3:28). Our differences, no matter what they may be, do not change our value or importance to God and should not change our value or importance to each other or ourselves. It is because of the great value that God places on us that he intricately wove us together our in mother’s womb with those things that make us different from one another. It is his handiwork and creativity on display through us. Sadly we have allowed the world, the enemy, and our sin to turn blessings from God into things that divide us or are used as a reason to mistreat one another. What should be a cause for celebration and a more full expression of worship to our God is hijacked for a host of reasons. At times, the work and role of the Holy Spirit is mysterious in the life of the believer. Because of the mystery involved, we often neglect or fail to grasp the magnitude of what it means that the Spirit of God has indwelt us as believers. For various reasons, some churches are a bit “light” on teaching about the Spirit while of those that place more of an emphasis on the Spirit some misrepresent the work and expression of the Spirit. This devotional will not be exhaustive or conclusive. I have much to learn about this topic and even if I knew more could not hope to synthesize it in a few hundred words. My hope here is to point us to a few scriptures about the Holy Spirit that will begin to help us grow in our understanding of this marvelous mystery.